If delivery of fresh flower online is possible and quite popular these days, delivery of fruits online is also expected to become popular. However, there are only a few limited service providers as of now. Number of services is expected to increase with the advent of time, though customers or buyers would not find all those services to be worthy as well as professional. 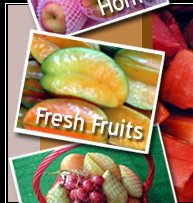 www.efreshfruit.com is well known as fruits delivery office Singapore which offers hassling free fruit delivery service. There benefits are discussed in the following section. The best thing about fruit delivery service is that fresh fruits shall be delivered at your doorstep. You do not have to take the hassle of visiting local market or supermarket to find your fruits. Orders can be placed online and you can add your preference for delivery time slots. For example, office goers generally prefer afternoon time delivery or early morning delivery. They can easily get the ordered fruit buckets at the doorstep at the preferred time. 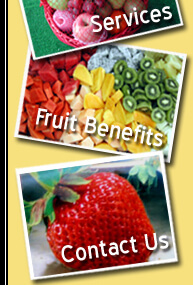 If you manage to find professional fruits delivery office Singapore, you shall obtain good quality products. Fruits are handpicked by the executives and before picking them they have been inspected for the freshness as well as quality. Online fruits delivery service will offer you plenty of options. You shall of course get seasonal fruits. At the same time, there will be fruits that are not easily available in a particular season. You can also get fruits that are uncommon at your region. From imported fruits to special fruits, various options are there for the buyers and that makes online fruits delivery service perfectly suitable. Some fruits are extremely delicate. For example fully ripe mangoes can be delicate. Bringing them home from the marketplace is not easy for this reason. In order to avoid this hassle, you can opt for fruits delivery office Singapore. Just place your order and get the delicate fruits delivered safely at your house without any problems.